Today is Better Breakfast Day (25 September) and we thought, the best way to celebrate this amazing time of day, is to give you some inspiration for a better breakfast. 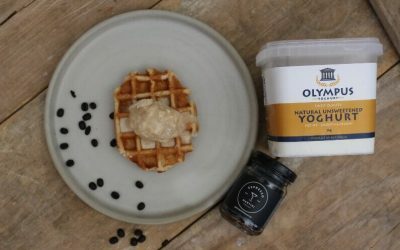 That’s why, we’re rounding up some delicious ways to use Olympus Cheese products in your breakfast…from the super healthy to the weekend specials. Enjoy! 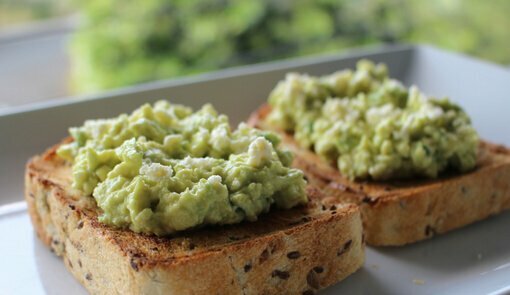 Fetta and avo toast is such a yummy breakfast and can be ready in no time. The addition of lemon and your choice of either mint or basil adds a delicious flavour to the dish. This is quite a ‘taste as you go’ recipe, the richness of the avocado and sharpness of the lemon you’re using may change your quantities slightly. You can use any crusty bread for this recipe. Half avocado lengthways, de-stone and scoop out the flesh inside. Add the juice of half a lemon, tasting as you go until it’s to your liking. We like it lemony! There’s nothing better than a fried breakfast when you have the time. This version combines delicious vegetables with Olympus halloumi and the added touch of a little smoked salmon. The perfect balance between healthy and decadent. This recipe allows you to have two pans on the go at once. If you don’t feel confident, you can use one, using your oven to keep it all warm. Lightly season mushrooms and place stalk side down in the first pan. Cook both for approximately 3 minutes on one side. Turn mushrooms and cook for a further 5 minutes. Turn tomatoes and cook for a further 2 minutes. When cooked, transfer to oven to keep warm. Heat olive oil in the pan the tomatoes were in, add spinach, letting it wilt slightly before removing and warming in the oven. Add olive oil to remaining pan on a medium to high heat. Crack eggs into the pan. When they start to sizzle, turn heat down to cook slowly before transferring to serving plate. 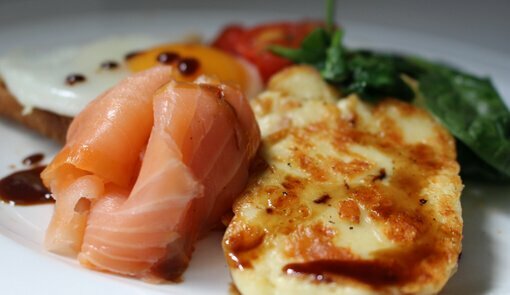 Once your eggs are turned down, add halloumi slices to the other pan on a medium heat. (No need to add oil). Watch carefully to avoid burning. Turn after approximately 2 minutes to cook for a further 1-2 minutes. 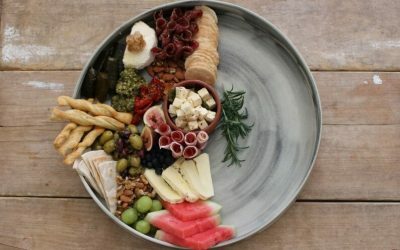 Assemble all the ingredients on your serving plate, adding slices of smoked salmon to serve. 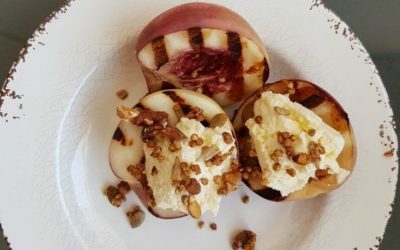 Drizzle with a balsamic glaze or reduction or a smoked honey to taste, or omit if you prefer. 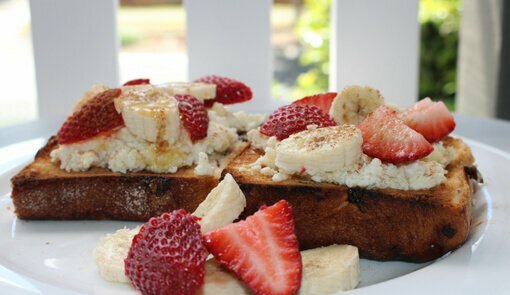 Ricotta cheese makes a delicious topping for toast, giving you that extra protein and dairy hit for the day. The beauty of ricotta is that its lightness allows the flavours of whatever you put with it to shine through. Choose a rich fruit bread and top with honey and top with banana and strawberries, or fig, fresh peach, or whatever fruit takes your fancy. Lightly dust with cinnamon to serve. 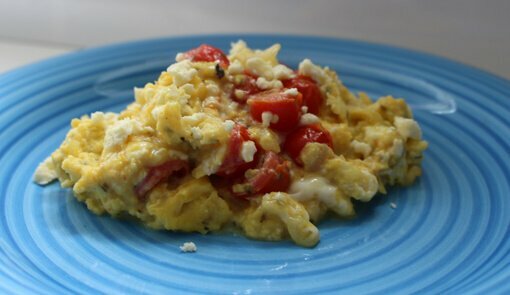 Have you ever made scrambled eggs using fetta cheese? It makes a very creamy scrambled egg! This version is freshened up thanks to the addition of tomatoes. You could also add in herbs of your choice. Heat oil in a non-stick pan, and fry onion until soft. 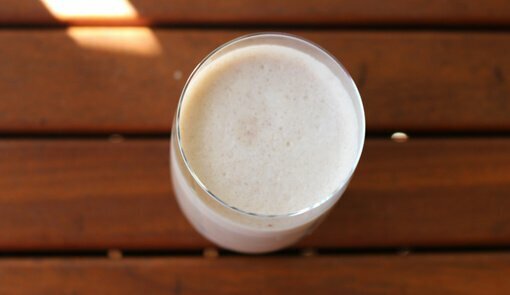 For a morning staple and a great breakfast on the go, you can’t go past a delicious smoothie. Mix it up with whichever fruit you like and experiment with flavours. We love a banana or berry smoothie made with either fresh or frozen fruit. Also try our Natural Yoghurt in place of Greek. For smoothness, add a splash of your favourite milk – cow, almond, coconut or soy. For extra fibre we added oats, but you can omit this if you like. We also love making mango lassis – simply replace banana with flesh of a mango, replace cinnamon with ½ tsp of ground cardamom and squeeze in a little lime. Add all in blender and blend until smooth, adding more milk if necessary to your desired thickness.